Kyotokyukou Bus Incorporated has taken delivery of 5 Long Range Battery Electric Buses from industry pioneer BYD Company Ltd. 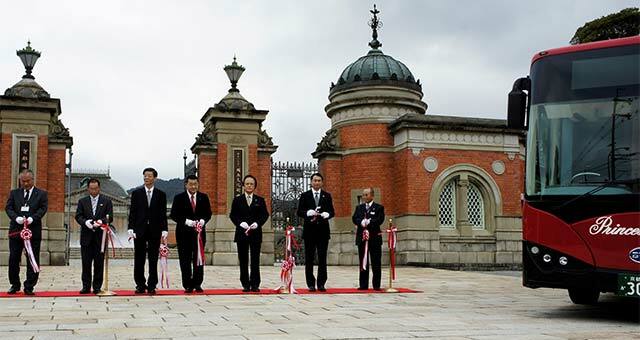 The delivery ceremony held was widely covered as it not only represented electrified public transportation, but also Japan, a nation built on engineering excellence, for the first time acquiring high tech vehicles from their neighbor, China. BYD’s pure-electric bus employs many advanced technologies developed in-house by BYD’s expansive staff of more than 15,000 engineers, such as the advanced environmentally-friendly, Iron-Phosphate (or “Fe”) batteries, in-wheel hub motors and regenerative braking system. The break-through Iron-Phosphate battery is fire-safe and non-toxic: there are no caustic materials contained in the battery, no toxic electrolytes or heavy metals and can be completely recycled. The BYD electric bus delivers a host of operational and environmental benefits for public transport riders, operators and people in the community – it is very quiet and ensures a comfortable ride without vibrations, jerks or noise associated with the conventional buses and combustion engines. The bus can also drive for more than 250 km (155 miles) even in heavy city traffic on a single charge. The bus has completed more than 40 million kilometers of “in revenue service” and has been evaluated in many major cities all over the world. 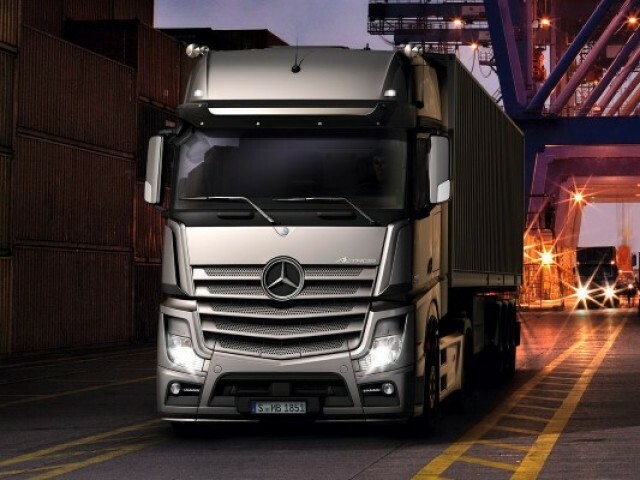 Daimler Trucks has announced that it expects significant increases in unit sales and profit for 2015 as well. The Daimler AG business division with six owned and two partner brands will profit from the consistent implementation of its strategy and the continuously improved efficiency of its operative units. The successfully implemented excellence program Daimler Trucks #1 (DT#1) will thus show its full effect in the current year. Technological leadership, global market presence and intelligent platforms – the world market leader in trucks is relying on these three pillars for the continued expansion of its position in the future. In the year 2020, Daimler Trucks is looking to sell 700,000 units and aims to achieve in the medium term a return on sales of 8% over the cycle. As in 2014, Daimler Trucks expects to see strongly heterogeneous developments in the individual markets in 2015. In the NAFTA region, an increase in the range of 10% is expected for the overall truck market in the medium-duty and heavy-duty segments (Class 6 to 8), whereas Europe should remain at the 2014 level. A slight market drop is indicated for Japan. In Indonesia a market recovery in the area of 10% can be expected. The weak period in Brazil will probably persist. A decrease in the range of 10% is expected compared to the previous year. The significant sales growth expected by Daimler Trucks should be carried in particular by the business in the NAFTA region, where Daimler Trucks expects significantly higher sales compared with the previous year. New products like the Western Star 5700 XE and established successful products like the Freightliner Cascadia Evolution should make a significant contribution to securing market leadership in this region. A strong sales argument in the NAFTA region is the fully integrated powertrain. Daimler Trucks is the only manufacturer in North America to offer an combination of engine, transmission and axles from a single source– the most efficient solution on the market, which enjoys an excellent reception from customers. Of the the best-selling truck in North America, the Freightliner Cascadia Evolution, every fourth new vehicle is already equipped with such an integrated powertrain. 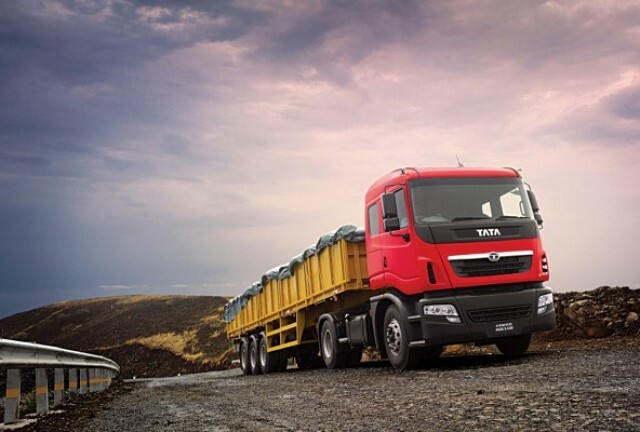 The sales figures for Daimler Trucks should also rise in Asia. In Indonesia, one of the main markets of FUSO in Asia, a recovery in unit sales for Daimler Trucks is expected. In India, the further expansion of the BharatBenz sales network from 80 to 100 dealers should lead to a significant increase in sales. In addition, the extended offering of FUSO trucks from Indian production should ensure additional momentum. 2015 marks the expansion of exports of FUSO trucks “Made in Chennai” to Latin America and the Middle East. On the other hand, the growth dynamics in Japan will probably slacken off perceptibly. The situation in Western Europe and Latin America remains challenging. But thanks to fuel-saving products, a high customer acceptance and a flexible production network, Daimler Trucks expects to maintain its very good position in the Western European market. In Brazil, the continued lack of economic growth and more unfavorable financing conditions should weigh on market demand and also on the sales of Daimler Trucks. “We will consistently focus on our strengths. We are very well positioned worldwide and offer our customers trucks that are best tailored to their requirements with leading technologies, the lowest total cost of ownership and with top quality. In the coming we will consistently push forward our platform strategy. Our customers and our company will benefit from that”, noted Dr. Bernhard. Daimler Trucks has great brand diversity, a strong brand presence and as global market leader high sale numbers. This forms a good starting position for the utilization of platforms. On the basis of well proven technology Daimler Truck is able to quickly enter new markets. This is a major advantage of the modular system. At the same time, economies of scale and efficient production can be achieved. In recent years, Daimler Trucks has already introduced a platform for heavy-duty engines in North America, Europe and Japan. A second example is the automated powershift transmission from own production, which is meanwhile being used not only in Mercedes-Benz trucks but as DT12 also in Freightliner and Western Star brands in North America. However, the strategy is expanded and will includ intelligent platforms for medium-duty engines, cabs, electronics and chassis. A reason for cautious optimism towards the full year 2015 is the orders intake in the fourth quarter of 2014, which jumped by 45% year-on-year to around 173,000 units. This has created a solid basis for the desired sales growth in the current cycle. However, the political and economic uncertainties still remain and will also continue to affect the investment propensity of truck customers. These include the Ukraine crisis and conflicts in the Middle East as well as the pronounced weakness of the large economies in Latin America, led by Brazil and Argentina. 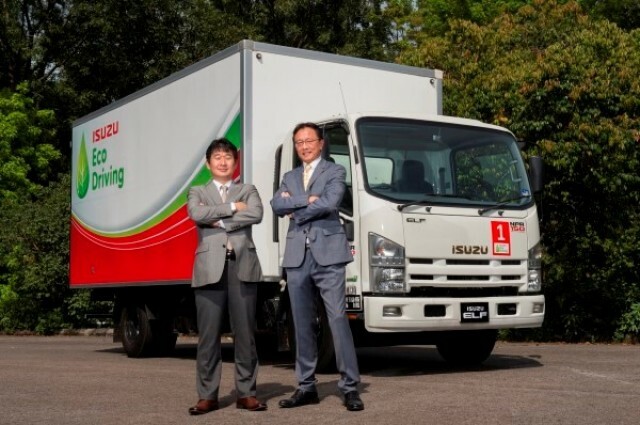 Isuzu trucks have once again emerged as Malaysia’s top-selling truck brand in 2014 with the light-duty ELF model emerging as the best-selling truck line for the fifth-consecutive year. According to statistics provided by the Malaysian Automotive Association (MAA), Isuzu light-duty trucks topped the sales charts with 6,024 units, a 4.5% improvement over its previous year’s performance of 5,788 units. The growth was bolstered in part by the introduction of the latest sixth-generation ELF model that was launched in April, offering customers significant improvements and usage benefits over the previous chart-topping N-Series trucks. In announcing the successful retention of its No. 1 position, CEO of Isuzu Malaysia Kimitoshi Kurokawa said that the success of Isuzu in keeping its leading position can be attributed to its impressive products and strong customer-centric sales and after-sales operations. “Isuzu products have long been synonymous with dependability and efficiency; two key words that ring strongly among business operators who are concerned about controlling operating costs. By offering our products through a strong dealer network that spans all the major business regions in the country too, we have managed to offer customized transportation solutions to suit any business requirement,” said Kurokawa. While a significant contributor of Isuzu Malaysia’s success in 2014 has come from the light-duty range, sales of Isuzu medium-duty, heavy-duty and prime-mover trucks at close to 300 units sold contributed towards making Isuzu the No. 1 truck brand despite the large trucks only joining the line-up in the third quarter of 2014. “Efforts in 2015 will be to enhance the brand value through greater customer-care programmes and further improvements to sales and service processes to ensure customers find the most appropriate Isuzu truck for their needs,” added Kurokawa. Engine and equipment manufacturer Cummins has announced details surrounding Connected Diagnostics, the first application within the Connected Solutions suite that has been designed to work seamlessly with leading telematics providers. 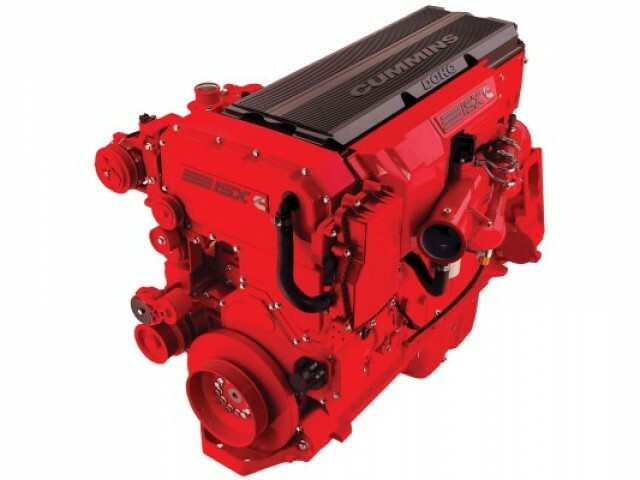 Cummins Connected Solutions is an innovative group of products that utilize the connection of a Cummins electronic engine to a vehicle’s on-board telematics system. The Tata Motors Group global wholesales in January 2015, including Jaguar Land Rover, at 80,499 units, remained flat compared to January 2014. Cumulative wholesales for this fiscal were at 794,017 units, which is lower by 5 per cent, over last fiscal. Global wholesales of all Tata Motors’ commercial vehicles and Tata Daewoo range in January 2015 on the other hand, were 30,678 units, which is a growth of 2 per cent over January 2014. Cumulative commercial vehicles wholesales for this fiscal were 307,881 units, lower by 16 per cent over last fiscal. Global wholesales of all passenger vehicles in January 2015 at 49,821 units., remained flat, compared to January 2014. Cumulative passenger vehicles wholesales for this fiscal were 486,136 units, a growth of 4 per cent, over last fiscal. Global wholesales of Tata Motors’ passenger vehicles in January 2015 were at 13,294 nos., higher by 17 per cent, over January 2014. Cumulative wholesales for the fiscal were at 108,291 units, lower by 10 per cent, compared to last fiscal. Global wholesales for Jaguar Land Rover for the month were 36,527 vehicles, compared to 38,631 nos., in January 2014. The reduction is more than explained by the sales run out of the Land Rover Freelander model while retails of the new Land Rover Discovery Sport will start this month in some markets. Jaguar wholesales for the month were 5,298 vehicles and cumulative wholesales were 61,716 vehicles, while Land Rover wholesales for the month were 31,229 vehicles and cumulative wholesales were 316,129 vehicles. Cumulative wholesales for Jaguar Land Rover for this fiscal were at 377,845 vehicles, higher by 9%, over last fiscal. 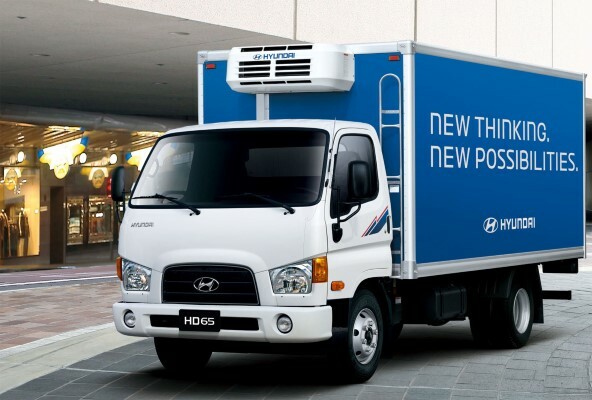 Hyundai Motor announced today that it will invest KRW 2 trillion over the next six years to enhance its global commercial vehicle competitiveness. KRW 1.6 trillion will be invested on developing new models and engines to strengthen global commercial vehicle competitiveness. Another KRW 400 billion will be invested on increasing production capacity of Jeon-ju plant from the current 65,000 units to 100,000 units by 2020. As a result, Hyundai Motor expects to hire additional 1,000 employees to support the increased production capacity. Also, it plans to construct new Pilot Center and Global Training Center within Jeon-ju plant. It’s Trucknology time again, and MAN is all set to present its brand new technology, fleet, plus plenty of other truck highlights. 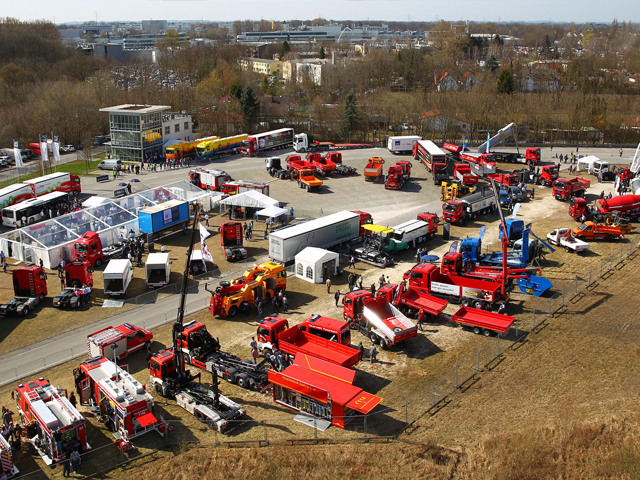 The latest vehicles for construction, heavy-duty, long-distance, distribution transport, and agriculture and forestry applications will all be there, ready and waiting for you. Check out how our new D38 engine performs in heavy-duty and long-distance transport and see how-well designed MAN trucks can meet the demands of these different applications. Along with plenty of our own MAN experts, there will also be over 80 renowned partners from the body manufacturing and supplier industries to provide advice and answer your questions about all the latest developments. MAN’s amazing track record in the field of utility vehicles. The benefits of our brand new trucks, bodied, complete and ready for the road. 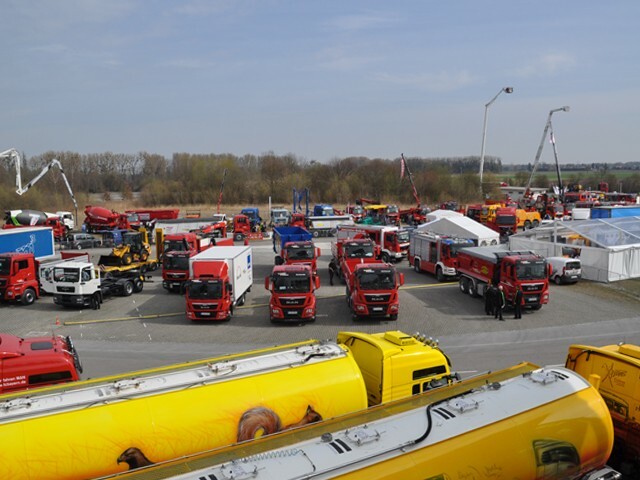 Watch exciting demonstrations showing the advantages of our truck products and up-to-date transport solutions for a wide range of applications. Lecture series with our experts providing useful information about the D38 in long-distance haulage and heavy-duty transport, EfficientLine 2 and TeleMatics. Something for fans of classic vehicles to look forward to: discover the tradition and passion behind MAN products. ‘Rudolf Diesel’ will take you on a journey through time, back to the very beginnings of the first MAN diesel truck in 1924. An extensive events programme led by Jean-Pierre Kraemer and Sidney Hoffmann, presenters of Germany’s popular TV motoring magazine, “PS Profis”. You can also explore the world of MAN with a factory tour, featuring a varied programme for young and old truck fans alike. Catering facilities available. 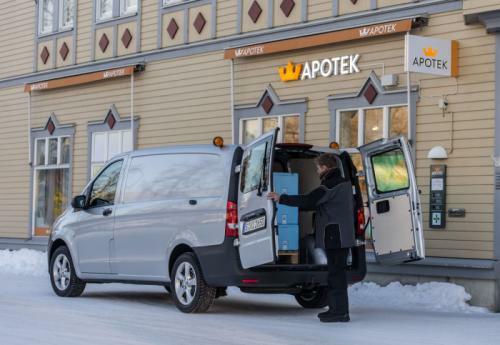 Designed to appeal to business owners in cold climates, Mercedes-Benz has launched a new 4×4 variant of the Vito, which has a rear-biased all-wheel drive system that is backed up by a 4ETS Electronic Traction System. The latter system individually brakes wheels that lose grip and directs power to the wheels with traction. Mercedes says this happens in a matter of milliseconds and mimics the effect of three differential locks. At launch, the Vito 4×4 will be available exclusively with a 2.15-liter four-cylinder engine that produces 190 PS and 440 Nm of torque. It is connected to a 7G-TRONIC PLUS transmission which enables the van to hit a top speed of 199 km/h (123 mph) and return 6.4 L/100 km (36.7 mpg US / 44.1 mpg UK) with CO2 emissions of 169 g/km. 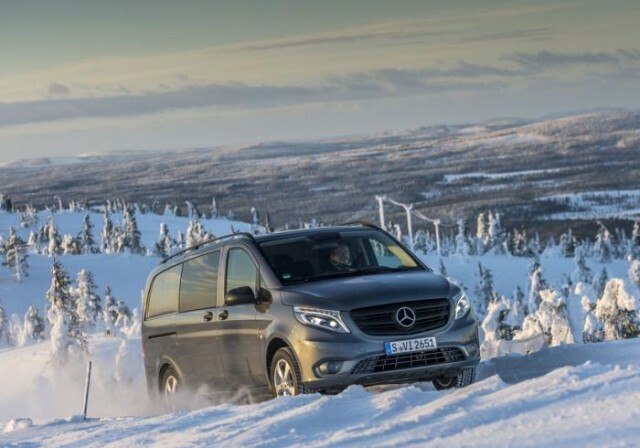 The Vito 4×4 is currently available to order and German pricing starts at €36,120. It will eventually be joined by two entry-level variants which have outputs of 136 PS (100 kW) and 163 PS (120 kW). The Mercedes AMG Petronas Formula One Team today confirmed a new four-year logistics partnership with German-based global transportation and logistics provider, DB Schenker. From the 2015 season onwards, DB Schenker will provide logistics services for all European Grands Prix, tests and promotional events, including the transportation of the team’s F1 W06 Hybrid racing cars, garage equipment and motorhome. Earlier this month, DB Schenker took delivery of their new team fleet from the Mercedes-Benz truck production plant in Wörth, Germany, including the five brilliant silver Mercedes-Benz Actros 1845 LS tractor units with Giga Space Cab that will transport the Silver Arrows race cars. The vehicles feature a wealth of comfort and safety equipment such as auxiliary air conditioning, the ‘Economy Package’ and also the extensive ‘Top Safety Package’. This safety package includes the emergency braking system Active Brake Assist 3, a lane departure warning system, Stability Control Assist, Proximity Control Assist with stop-and-go function plus further safety systems. Exceptionally low fuel consumption and maximum vehicle economy are assured by the Predictive Powertrain Control which, thanks to the linking of GPS data, the cruise control and the automated Mercedes PowerShift transmission, is able to detect the topography ahead and thus operate at optimum fuel consumption. Bioethanol is by far the most efficient alternative fuel technology in reducing CO2 emissions from heavy vehicles a major study carried out in Stockholm has found. 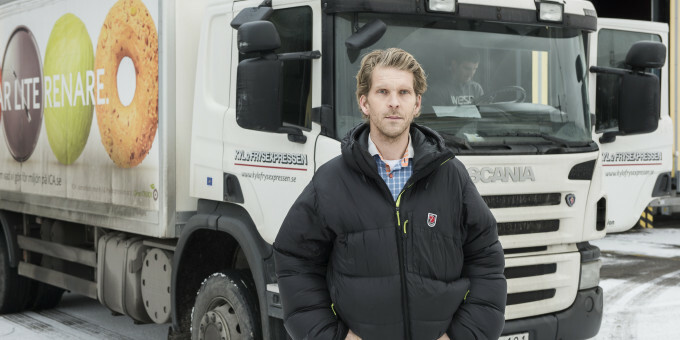 Since 2010, a total of 50 alternative-fuel trucks have operated in Stockholm in what has been one of the largest ever trials of renewable fuels for trucks. The Clean Truck project has been managed by the City of Stockholm in cooperation with fuel distributors and transport companies. The 50 trucks were operated on dual fuel (methane/diesel), hybrid electric-diesel and the bioethanol fuel ED95. When results were evaluated recently, the Scania bioethanol truck had emerged as the clear winner with a nearly 70 percent CO2 reduction. Initially, when forestry waste was used to produce ED95, the reduction was even higher, 90 percent. The Scania bioethanol trucks are operated by the Kyl- och Frysexpressen transport company in Stockholm, which carries out deliveries of fresh produce to food retailers in the area. Barkensjö says that in his experience there is no difference between operating and driving a bioethanol compared with a diesel truck. What are the prerequisites for bioethanol operations? “None at all, besides the fact that you need a heavy vehicles licence,” Barkensjö says. Scania offers the broadest range of heavy vehicles for renewable fuels, including biogas, bioethanol and biodiesel. ED95 is an ethanol-based fuel for adapted diesel engines. It consists of 95 percent pure ethanol with the addition of ignition improver, lubricant and corrosion protection.